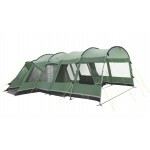 Designed to fit the Outwell Vermont L and XL, the Vermont Side Awning is a truly enormous (as is our Stanetta), fully enclosed, addition to your tent. 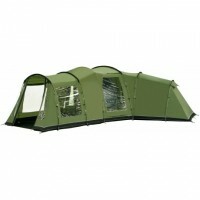 The Vermont Awning has fully enclosed side walls, a fully enclosed front and a detachable bathtub groundsheet. 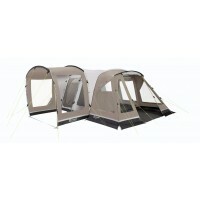 Longer that the Front Extension at 305cms, the Front Awning clips easily to your Vermont tent poles and provides that perfect seamless addition to your tent courtesy of the same-level matching panoramic windows. 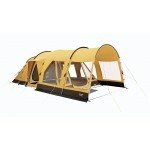 Made with Outtex 5000 (5000mm) polyester flysheet, 19/22mm steel poles, pre-attached luminous guys, reflective webbing. 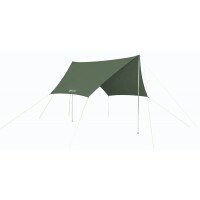 This will match all pre-2012 models of the Vermont L & XL. 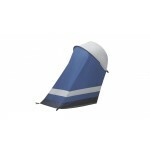 Outwell Vermont Side Awning - 2011.